This fun sampler quilt top was quilted using the "Alex" pattern. It's a nice swirly pattern that helps offset the sharp points of the piecing. And this quilt top was quilted using the Carpet Scrolls pattern. It's also a swirly type pattern that has a large repeat. It's ornate looking & goes well on large quilts. This quilt top was a king-size top, and so it really worked out well on this one. 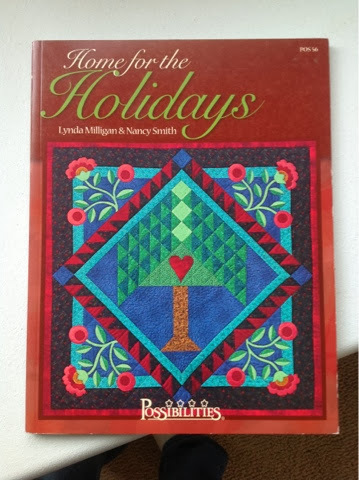 This two-color top was quilted using the "Growing Things" pattern, using white thread. I enjoy looking at two-color quilts, with the high contrast between the pieces- visually they are very striking. But, I am not sure I would have enough patience to acutally piece one. I fear I would get bored halfway through piecing the same block with the same fabrics & I would never finish it. Maybe some day I will attempt one. A quilt for me! I made this from scraps & leftovers from other projects. It's hanging on the wall in our house now. I quilted it with baptist fans, and really like how that turned out. I added the braided border to the outside, and like the effect of that.